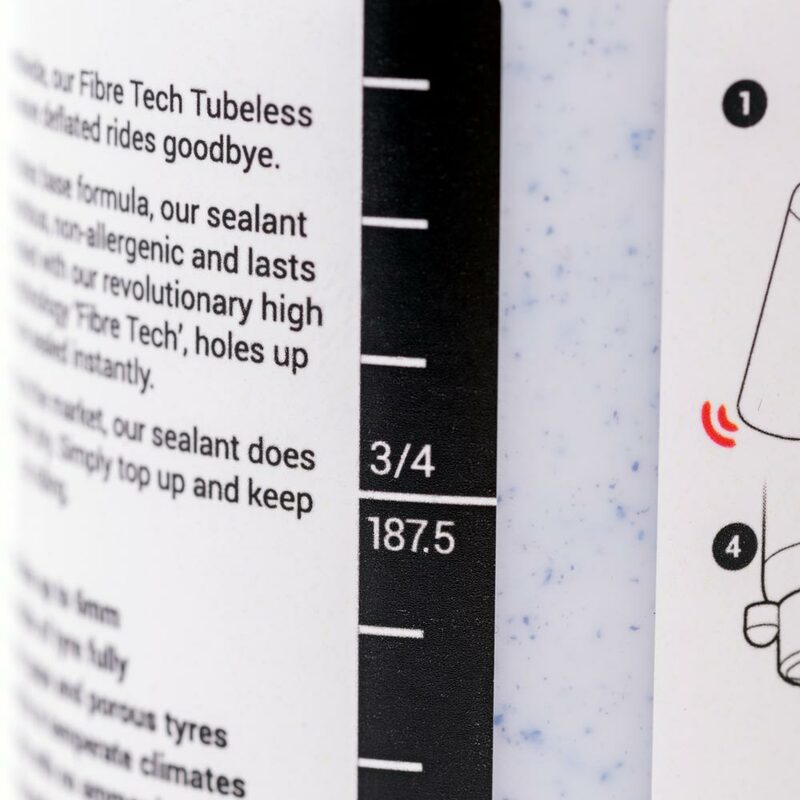 Tried and tested worldwide, our Fibre Tech Tubeless Sealant helps you wave deflated rides goodbye. 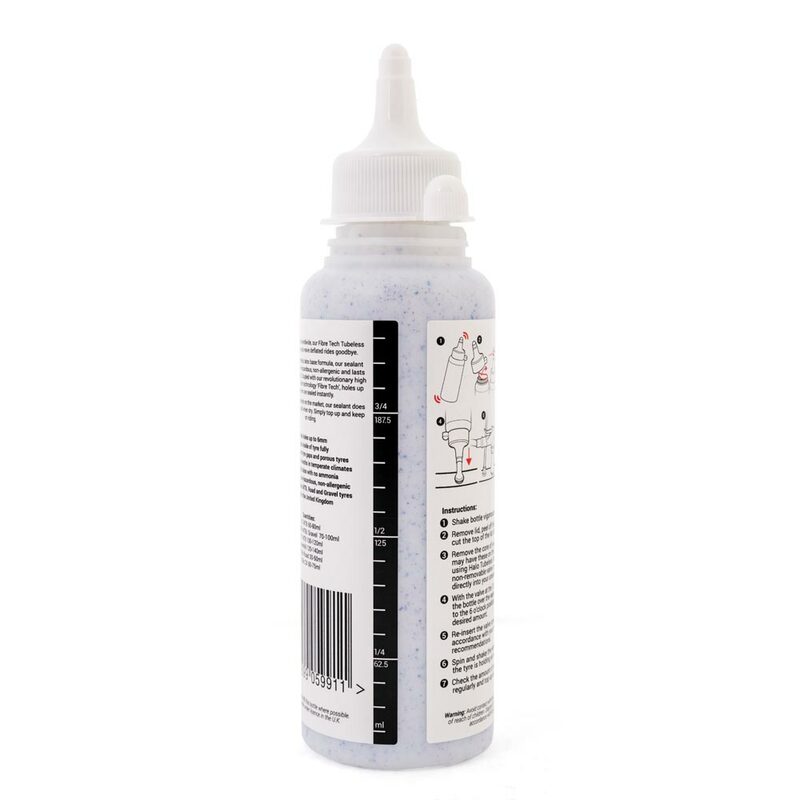 Utilising a synthetic latex base formula, our sealant is non-toxic, non-hazardous, non-allergenic and lasts up to six months. Coupled with our revolutionary high density micro fibre technology ‘Fibre Tech’, holes up to 6mm are sealed instantly. 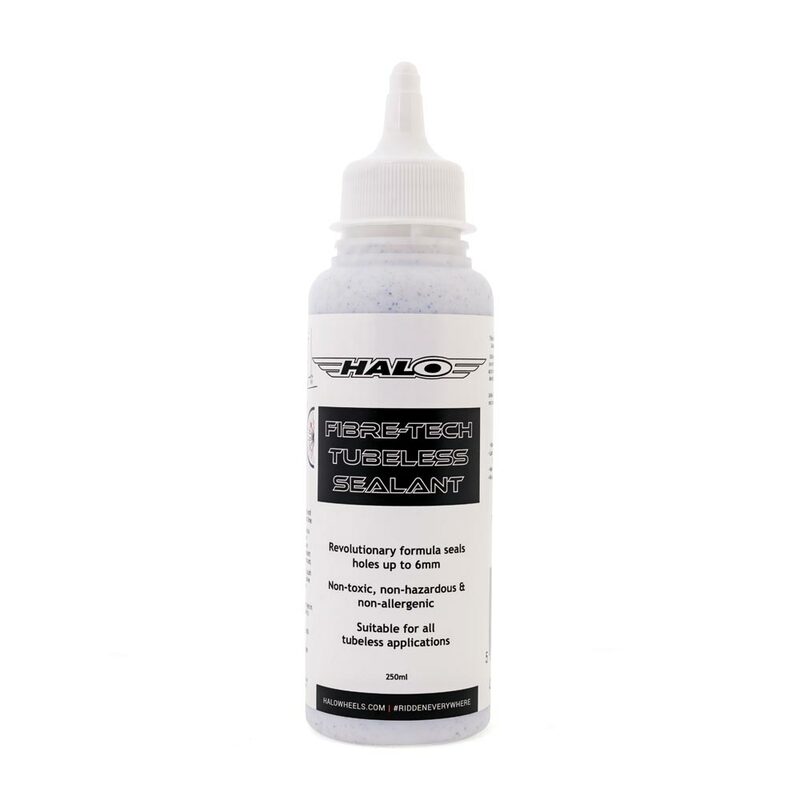 Unlike other sealants on the market, our sealant does not collect in a ball when dry. Simply top up and keep on riding. 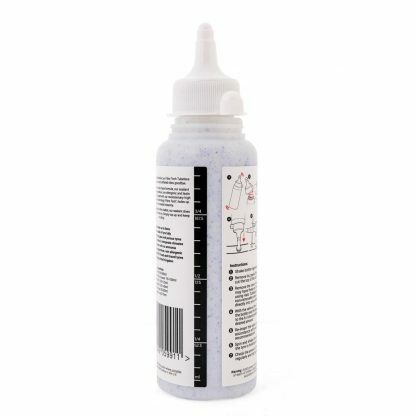 Coming in a handy 250ml bottle, the nozzle of the bottle is designed to fit directly onto a Presta valve to avoid unwanted spillages.